Finely chop celery, onion and carrot. 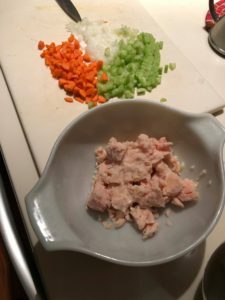 Combine with tuna and remaining ingredients in a large bowl and mix till combined. Serve with avocado, in a sandwich or solo! Charles Bennett is the Principal Consultant at Triella. We are a technology consulting company specializing in providing technology audits, planning advice, project management and other CIO-related services to small and medium-sized firms.Charles can be reached at 647.426.1004. For additional articles, go to our blog page. Triella is a VMware Professional Partner, Microsoft Certified Partner, Citrix Solution Advisor – Silver, Dell Preferred Partner, Authorized Worldox Reseller and a Webroot Reseller. PreviousPrevious post:Contact Management SimplifiedNextNext post:Now Available – Worldox GX4 with Major Upgrades!